The weekend started Friday night at the Black Bull. Blind Albert and I had a duo gig there, 9:30-12:30. A new guy who’s moved into the area sat in with us. Frank Sambiase moved up here from CT, I think. He’s been jamming with the local cats, paying his dues, looking to make in-roads with the locals, trying to get gigs. He did a great job with us, and I really like his playing. And, it was a treat playing with two guitar players. Rarely do I play in a band that has two guitar players; the local clubs don’t pay enough money to have bands with lots of members. Usually, I play in trios, or quartets with a horn. It was nice to have that extra voice, and it added a lot to the sound. I got home from the gig around 1pm, maybe a little later. As I was getting ready for bed, I noticed I didn’t have my watch on. (Pay attention, this will mean more later.) At my gigs, I take my watch off, and put it in my stick bag. I don’t like to wear a watch when I play. I also take my wallet, keys, and phone out of my pants pocket, and put them in the bag. Anyway, I had left my watch in the stick bag. Since I knew I’d want to wear my watch in the morning, I went out to the car, got my bag, brought it inside, got my watch, and put it on the table. Saturday morning, I “slept late,” and got up at 8:15. I made blueberry muffins for the family. I washed some dishes, took a shower, did the usuall Saturday AM things. It was pretty warm out, and thoughts of my scooter danced in my head. With my plastic snow shovel, I was able to get enough snow away from the garage door to get it open a crack. 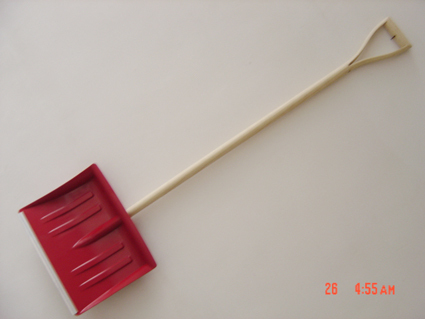 Once inside the garage, I was able to get a metal flat shovel. And with that, I was able to chip enough ice away to get the door open! Scoot, here I come! But first, I had to make a trip to the dump. OK, I did that, back to the scoot… I put the battery in, which had been in my garage on the battery tender. I siphoned out the stale gas that was in the tank, and replaced it with fresh gas. I jumped on the kick start a few times, with the key off, just to get some oil into the cylinder. Then I touched the electric start. She roared right to life! I let it warm for a little bit. Susan was running errands with Julia, so as soon as she got home, I went for a ride. I went down to the Keag Store, down Dublin Rd, a left onto Ash Point, South Shore Dr, downtown Owls Head, North Shore Dr, then Rt 73 to home. It was a nice ride, but the roads in Owls Head are tore up! That was a bone shaker of a ride. After my ride, I took a quick nap. Then I headed out to Winterport for my gig that started at 8pm. I had the mushroom/swiss burger, which was delish. I brought my gear inside, and started to set up. Then, it hit me: where’s my stick bag? Yup, you guessed it. I left my sitck bag at home from the night before! Panic started to set in. No sticks! But wait! Didn’t I stash a pair of sticks in the spare tire compartment? If I did, they weren’t there. God’s provedence was with me, though. The week before last, we played a gig and had a hand percussionist sit in. I have a big bag of hand percussion items, so I brought that bag for him to borrow. I hadn’t taken it out of the car yet. Inside was a pair of sticks! They weren’t my regular size, and they were pretty beat up, but at least I had some sticks! The gig was well attended, and people danced all night long. I broke one of the sticks, but it was just the tip, so I was able to complete the gig. The sitcks went into my cymbal bag, so now I’ll have a back-up pair! When factoring in the time change, I got home a little after 3am. Sunday was pretty typical. Church in the morning. Lunch at Mom’s. In the afternoon, I was able to take another quick scooter ride. It wasn’t as long as Saturday, as it was a little cooler. I was able to fit a 1/2 hour nap into the afternoon, too. In the evening, it was back to church. After that, I went to McDonalds for the boys supper, and to Subway for me and the girls. Chicken bacon ranch, of course! The kids went to bed, and then Susan and I had a little snuggle time on the couch before we went to bed. Whew, that was a close call with the missing sticks, glad it worked out. Yum, chicken bacon ranch. Yo Bill, thanks for the kind words about my brother sittin’ in with Blind Al at the Bull. He’ll get a kick out of it, for sure. Before I show it to him, though, would you correct the spelling of his name? (It’s SAmbiase–You actually came closer than anybody else ever has on 1st try! Kudos. YEy for getting your scoot on! Weekend wrap up is very interesting. I also like weekend wrap up.